Please take the time to read through the text below before reporting your CE Credits for Certification Renewal. Please note that CE credits are not required for an IASI membership, but they ARE required to maintain your Board Certified Structural Integrator certification. IASI encourages you to learn more about BCSI certification to find out if being certified is right for you. The practice of Structural Integration (SI) is an ongoing exploration into the human condition and its relationship with gravity. As such, it is necessary for the practitioner to continually explore, learn, communicate and share their discoveries with other practitioners. Lifetime certification is no longer consistent with the highest credentialing standards. Competency must be maintained by continuing practice and study, based on critical self-evaluation for improvement. Each certified practitioner should reflect on how competence in his or her SI practice can best be supported by further education or experience when planning how to meet requirements for maintaining the BCSI credential. Certification Maintenance requirements must be met every four years. Failure to complete these requirements will result in loss of Board Certification and the right to use or display the BCSI credential until the Certification Examination for Structural Integration has been retaken with a passing score. The Certification Board for Structural Integration recognizes two pathways for certification maintenance in each four-year cycle: 1) retaking the Certification Examination for Structural Integration, or 2) acquiring and reporting a total of 72 continuing education and experience Credits, as described below. As of 2015, the fee for renewal of certification for four years is $150. Validity and quality of the CBSI certification program require continuous and regular maintenance and development. The Practice Analysis that defines what competent practitioners need to know, do, and understand needs to be repeated periodically as a basis for the design of the CESI. Examination questions must be written, tested, revised, and retested. The website and materials to support candidates for the CESI need regular revision. Certification maintenance requires manpower for document management and data entry. Volunteers do most of this work, but we must employ staff, including our psychometrician consultant. Every professional certification program is supported by the cost of the initial examination and a fee for certification maintenance. CBSI is new to certification maintenance and has now established a nominal fee that is comparable to the low end of professional certification programs in similarly sized industries. Credits are delineated in three Categories. All Board Certified Structural Integrators (CBSI's) must report at least 72 Credits. CBSI’s with 15 years experience or more may report 72 Total Credits from any Category. CARRY-OVER CREDITS: Practitioners who complete advanced SI training at any IASI-recognized school during any one four-year reporting/certification cycle may “carry-over” Category 1 Credits in excess of 72 Credits into the following reporting/certification cycle. For example, for an advanced SI training that takes 175 hours, one may claim 72 Category 1 Credits in each of two consecutive four-year cycles. NO OTHER Credits will be granted carry-over status. 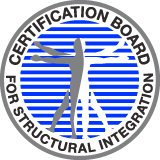 Board Certified Structural Integrators will be notified annually by the CBSI of their next recertification application and reporting deadline and will be provided a copy of the current CBSI Certification Maintenance Requirements Policy. Notification will be by email only unless the CBSI office receives a written request for notification by US Mail. Questions about certification cycles and reporting may be directed to the CBSI office at [email protected] or 1-855-253-4274. Reporting should be completed online. The Application and payment by credit card are integrated into the online CE Reporting Form. Complete submissions must be received by December 1 each year and every four years thereafter. New certificates will be mailed within 6 weeks of a completed submission. CBSI will randomly select ten percent of all continuing education and experience reports every year for audit for accuracy. BCSIs should be prepared to provide documentation for all Credits. Those BCSIs whose submissions will be audited will be notified in June of each year. Documentation of Credits is to be provided only if you are audited and when documentation is requested. Failure to provide documentation for an audit will require a retake of the SI Exam in the following certification maintenance cycle. IASI Definition (after June 2015): Category 1 classes and workshops are designed for Structural Integration practitioners, have Structural Integration as the main topic of inquiry, and the instructor must have at least 7 years experience as a Structural Integration practitioner. Courses and workshops must also be approved by IASI for Category 1 Credit. Additional activities are recognized by CBSI for credit because they support the transmission of knowledge from adept and seasoned practitioners in both formal and informal settings. This creation of networks and the exchange of ideas helps to solidify both the field of Structural Integration and the abilities of individual practitioners. Credit minimums and maximums for each option are noted for each 4-year cycle. Documentation required: Copy of IASI Mentoring Form completed and signed by Mentor, Mentee, and IASI Executive Director. Documentation required for CBSI: letter or email from IASI CE Committee including the number of CE Credits granted.